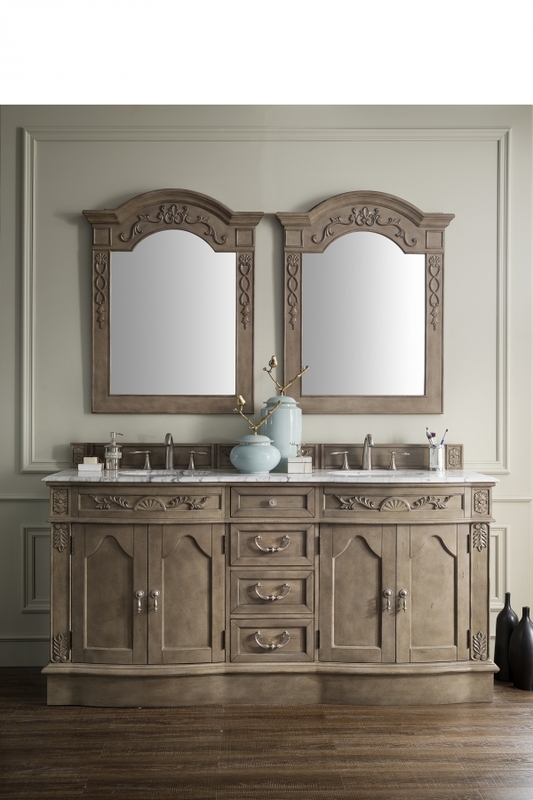 From the elegant accents to the double bowed design, this two sink vanity will bring so much to the bathroom. The arched shapes inlaid into the two double door cabinet fronts are another fine feature that enhances the functionality. The empire gray finish sets off all of the design elements and it is enhanced by the brushed nickel hardware pulls, each of which is also created with fanciful style. The size of this piece provides enough room for each user and also allows for major storage space. 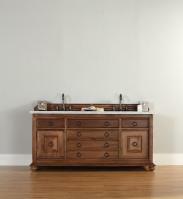 The counter top is made of Carrara white marble with white ceramic under mount sinks.